Jeep announced something big earlier this year at the New York International Auto Show: The introduction of the Jeep Renegade. The 2015 Jeep Renegade is a cross between the ever-popular and brand staple Jeep Wrangler and a luxury SUV. The 2015 Renegade has performance statistics similar to a Wrangler and can easily handle the same off-roading obstacles that the Wrangler can, but the Renegade offers a little more comfort. While Jeep purists may scoff at that idea, Jeep manufacturers believe this is one of their most innovative vehicles yet. The 2015 Renegade is so capable of anything that it features an available Selec-Terrain traction system that gives drivers the option to pick a terrain for handling. There are five modes: Auto, sand, snow, mud and rock. The 2015 Jeep Renegade vs 2014 Jeep Compass debate may linger but once you get the opportunity to drive a 2015 Renegade, you won’t look back. Exact fuel economy figures have not yet been released for the Renegade, but it does offer a nine-speed transmission, which makes for a smoother ride than the six-speed transmission in the Jeep Compass. The engine and powertrain capabilities are a bit more powerful in the 2015 Renegade, which is what makes the vehicle more capable than the Compass, too. 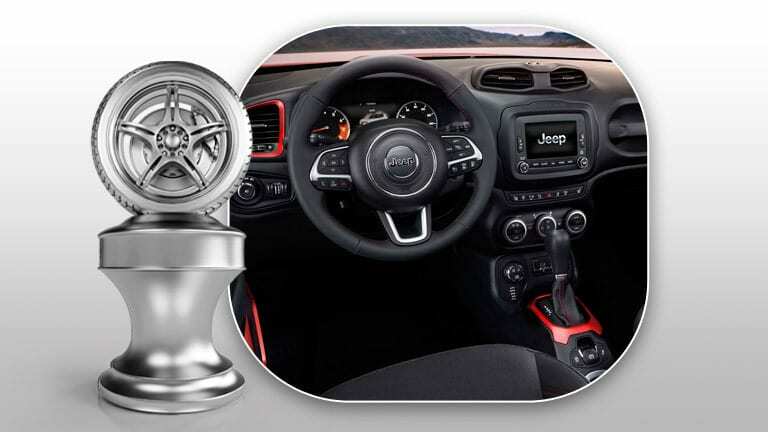 The 2015 Jeep Renegade Edmonton AB comes standard with an active drive train system, which means when the vehicle is on a so-called regular road, it will operate with 4X2 capabilities, but when the vehicle senses it needs a little more control, it will automatically switch to 4X4 handling. This not only reduces wear and tear on your vehicle but also increases fuel economy. The 2015 Renegade is all about style, comfort and hard work. For more information on the 2015 Jeep Renegade, feel free to stop by and pick our brains! A release date has not yet been set for the 2015 Renegade, but it is expected to hit lots later this year.